On Saturday, protesters commandeered Pearl Square, the epicenter of the revolt, from government forces—but it was a battle hard won. Karen Leigh reports from the center of the strife. On Saturday, protesters commandeered Pearl Square, the epicenter of the revolt, from government forces—but it was a battle hard won. Karen Leigh reports from the center of the strife. Plus, The Daily Beast answers six key questions about the uprising. We think we're in trouble. At the top of this street near Pearl Square—the central Manama roundabout that became ground zero for anti-government protests this week—there's an unexpected wall of riot police with shields and guns. They've got these weapons in hand as they start coming toward us. Like most of what's gone on in Manama since Monday, it's been hard to predict where the day will go. This grassroots effort has relied mostly on word-of-mouth and has reacted quickly and strongly to any motion by Bahraini officials. I've been in Bahrain since Thursday, reporting on the uprising for The Daily Beast. After the army's vicious, king-mandated, live-ammo crackdown on sleeping protesters in Pearl Square on Thursday the revolutionaries remained peaceful, but angrier. Their demands did a 180—from a simple theme of "more rights for all" and demands for changes to the current constitution, to the desire to topple the entire royal government. After condemnation from the international community—with U.S. Secretary of State Hillary Clinton urging "restraint" in dealing with demonstrators—Hamad bin Isa Al Khalifa, the king of Bahrain, turned the situation over to his son, Crown Prince Salman bin Hamad Al Khalifa, also Deputy Supreme Commander of the Armed Forces. Protesters hoped Salman would ease the violence, taking army tanks off Manama's streets and keeping police to tear spray and rubber bullets. Women dressed in black milled with young guns wrapped in Bahraini flags. Everyone was on edge—would the cops start firing? Friday night saw the spraying of protesters in Pearl tear-gassed into suffocation, pelleted, and fired at with "real" guns by riot police. Those taken to nearby Sulamiya Hospital in the ensuing fray included one shot in the chest and another whose bullet to the brain disfigured his face beyond recognition and left him a vegetable, almost certain to die soon. It was, however, an improvement over his father's army's execution-style tactics—and no casualties, unless you count a brain death. "They've changed. Thursday they were aiming to kill, had the army shooting commando-style," said a friend on the ground. "They had real bullets instead of pellets. Now they're just trying to scare us." But it wasn't enough of an ease. The protesters wanted a full stop, and they didn't trust anyone in the royal family as far as they could throw him. "We don't like him. He's from the same bloodline. People don't trust anyone in the government," said one protester. President Barack Obama, whose interests in the Gulf nation include its housing of the Navy's Fifth Fleet, spoke with the king Friday night to urge him to restrain his security forces and to express his concern about the escalating violence. Maybe something clicked. Because by the end of the day Saturday, there were thousands of said Bahrainis dancing joyously in Pearl Square, having watched government forces back off for what many around me said was the first time in their nation's history. But it was a long day getting there. Around noon, I returned to Sulamiya, which has become an unofficial off-hours home for protesters, many of whom milled about eating take-out Indian, occasionally chanting. Word on the street was that a massive protest was planned for the afternoon, with the intent to take back Pearl roundabout from the army. Inside, past triage carts and stretchers, I ran into a Bahraini friend, the son of one of the country's best-known dissidents, who's alternately been working to free his father from prison, making a living as a stockbroker, and working as the hospital's unofficial press liaison, lured to duty by a friend from the Bahrain Rights group. Having convinced him to be my unofficial chaperone (it didn't take much—he said he was "ready to die" and had already warned his family and friends that they might never speak again), we were soon speeding along Manama's nearly deserted streets in his Lexus. Glass beads from Iraq swung from the rearview mirror. "Don't use my name in the story," he said. He asked me to call him Jigs, "like a puzzle." As Jigs swerved through the Indian neighborhood near Pearl, he said he hadn't slept in days—too keyed up. "I need Starbucks," he said. Like so many other deeply religious young men obsessed with fighting an ideological war, his mind was skittering. "They took the army away, but they increased the police force," he said, one hand on the wheel, the other juggling two phones. "They're gonna come from all routes. Doctors are expecting the worst. Yesterday was brutal, snipers from all sides." We parked on one side of the square and walked down the street. A few Indian workers sprinted by, pounded on a shop door. Ahead there was a row of riot police. We walked slowly, the occasional car slowing to a crawl as it passed us. The police were heading over and they had guns—couldn't tell if they're real from here, but not taking any chances—and we were backtracking, then jogging through alleys until we reached another entrance to the square. We were trying to find the demonstrators' gathering spot. All we knew was they'd be marching at three. Jigs didn't want to miss it. There was another wall of riot police, and men carrying Bahraini flags milled up and down the road. They seemed to be waiting for something. As we walked by, they started applauding. Then they followed us. As we walked closer to the cops, so did they. Finally, close enough, we stopped. They kept going. One guy raised a flag above his head, both arms in the air, and made a beeline. "He wants to get hit," Jigs said. Another horde followed him, maybe 20 guys, and one with a tent. Tents had become symbolic for the protesters—they were what housed the sleeping denizens of Pearl Square on Thursday night, and everyone had been working to take back "their" square and rebuild their tent city. Whoever controlled Pearl Square controlled the battle. On Thursday the government blocked access to the square, mostly, the protesters said, to cover their tracks—to cart away unrecorded dead bodies, put salt on blood left on the grass, and to tell the outside world that they had only been protecting themselves against a violent mob. The irony is that the "mob" is as peaceful as they come. I've watched them take prayer breaks in the middle of a protest—exactly what they were doing Friday night, when government forces snuck up from behind and began choking them with tear gas. One of the government's suppression tactics has been to portray them as violent Shiites—who make up about 70 percent of the national population—attacking the richer ruling Sunnis. That's not been the case this week, not on the ground. "We are all one," they keep telling me. "It's all propaganda making us look bad to the rest of the world." As we watched the first protesters—the sacrificial lambs—walk toward the riot police, Jigs pointed nearby, to a row of freezer trucks. "We have suspicions about the missing," he said, referring to the 48 men and women unaccounted for since Thursday morning. "They might have been put in trucks like that." When I asked he said they had been applauding for me, not him. "They started walking because you did," he said. "They needed a foreigner there to witness. You made them move." They still hadn't fired on the first man, the one with the flag, though Jigs said he wanted to get hit. A second was running back and forth across the street, screaming. "They killed sleeping people! They killed your kids and your relatives! Why are you not here." The major gathering obviously was not here. Jigs was texting, seeing if anyone knew. We could hear chanting so we walked toward it, looping to the back side of the square near Dana Mall. We had to find a popular opposition speaker named Brahim Sharif—who was rallying the demonstrators Saturday—and his thousands of followers. Jigs finally got a text—the gathering was near the mall. A covered woman in a Mercedes rolled down the window, offered a ride. "You are safer this way," Tahara Sharif said. Jigs told her Salman had just spoken on television, that he'd called for peace. "Too little too late," she said in Arabic. A few minutes later we reached the destination. Jigs told me they'd just been informed that phones, including his, had been tapped by the government, so the organizers were speaking in code and waiting until the last possible moment to release the location. They went so far as to trick the cops, sending out messages that the protesters would be coming from three routes so as to spread the government's manpower a little thinner. But this was the main gathering place. Women dressed in black milled with young guns wrapped in Bahraini flags. Everyone was on edge—would the cops start firing? Hundreds of officers fanned out on a dirt stretch blocked by swirls of barbed wire. We were warned not to go through a gap in the fence but we did anyway. Nothing happened—probably because I was white and holding a notebook. Then, at the end of the field, the mob began rushing the fence, down the long street that led from our vantage to the center roundabout. And the riot police did something no one in the crowd expected—they got in their sport utility vehicles, and one by one they drove away. The protesters screamed, they cried, they gathered speed and began running down the street to Pearl Square. Once again we broke into a run. "I've never seen this, ever," Jigs said. "They got scared and left. And that blue car"—he pointed to a police SUV—"is where the bug guys are, the ones who give the orders. And they're leaving too. It's a retreat. The way [Khalifa's] son is taking control is to retreat." Then we heard loud pops, gusts of smoke. They were firing tear gas. The crowd moved faster. There were men and women in traditional white funeral shrouds. "They're what we wear when we know we're going to die," Jigs said. Soon we ourselves were in the square, and I couldn't see spray canisters or police or anything but thousands of jubilant Bahrainis. They climbed the statue in the middle of Pearl Square and they waved flags off it and at least five grown guys came over and embraced Jigs, all of them bawling. Hundreds of them prayed. They all faced Mecca and they put their hands in the air and some got on all fours and said thank you. And ambulances—whose drivers had been savagely beaten by the king's forces just the night before—entered the square to check for any casualties, anyone hit by the first and only round of tear gas. "It's a good day for us," Jigs said. "It's our land and we did it." Someone carried a tent through the crowd, others rigged rope and nailed stakes into the ground. They were going to camp out tonight. "People are bringing their fiancées, their girlfriends," Jigs smirked. "It's going to be romantic here." But there were remnants of the past week, whose bloodletting began Tuesday when police shot a protester in the back. Conspiracy theories were flying. People kept asking me to look—were those traces of blood on the floor? There was talk all day that some of the 48 missing had been buried here, somewhere under the grass. Guys were trying to find a much-rumored mound. There was a huge patch of salted grass. "Salt could have dissolved blood," Jigs said. The most troubling thought was that many of the missing had been used as police puppets. Two separate sources came over to talk about fellow demonstrators who'd been injured in the police raids—deep gashes, broken bones. They said the men had been spotted on Bahrain's state TV, wearing police uniforms and made to look like officers who'd been injured by violent protesters. Every now and then a text from outside put the revelers on edge. Someone heard about 12 army tanks en route. Jigs' friend said fighter jets would be overhead in the next hour. Neither materialized. Now that they had Pearl Square, the next step would be talks between the government and the people. "I hope something else happens, something concrete," Jigs said. "There's no point just taking over the place." "We faced them with peace. They faced us with force. How can we give them a way to stay in government now?" said Qassim, a 24 year old who told me he couldn't find employment despite a college-level degree because the royal family gave its jobs to foreigners—namely Indians and Ethiopians—who'd work for less. "The expats, they give them a chance. Their own people, no chance." He said he hoped this would change soon. At 4:57, Bahrain TV announced the withdrawal of troops from the square. We left to go back to the hospital, to make sure no one had been suffocated by the tear spray. A sobering reminder of what had been sacrificed during the week—the body of Abdul Ridha Mohammed Hasan Buhamid, the man shot and left brain-dead on Friday night. The handsome, smiling man in the photos taped to the foot of his bed couldn't be reconciled with the grotesquely decolored skin, swollen face, sunken skull. As we left to recuperate at, yes, the vaunted Starbucks, Jigs reminded me of a moment in Pearl Square. The celebration had been raging around us and he'd been checking his phone, pacing, wanting to go back to the hospital, check on the patients. I kept telling him to enjoy the moment. Just take five minutes, I'd said. "There was a time to rejoice, and that was one minute," he told me. "I can't forget the blood that spilled right here. I can't forget the men I hugged, the ones who lost family here." Buhamid's wife was out in the ICU hallway, praying. Jigs' father is still a political prisoner, allowed one bathroom break per day. They had to send his uncle to the prison last Friday to make sure the man was still alive. Jigs can't name one person he thinks is qualified to lead an opposition party, should the king's government withdraw. There is much work to be done. But first—a mocha latte, then he's going back to camp out on Pearl Square all night. He likes the grass, he likes the company. The water's back on in the central fountain there. He's celebrating. 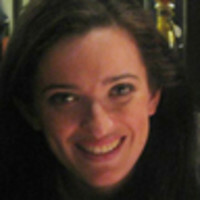 Karen Leigh is a reporter and anchor for the Hindustan Times, based in New Delhi. She has written for TIME, Bloomberg, the New York Sun, the Cambodia Daily, Entertainment Weekly and Women's Wear Daily.